Colombia is an enchanting land of tropical rainforests, colourful coastlines, spearheading urbanisation and a rhythmic way of life. Most of the times this South American country is in the news for all the wrong reasons like violent guerrilla activities and dangerous drug trades, but these negative elements fail to rob off Colombia from its eternal heritage of grandeur. Situated on the north western part of the continent, the country boundaries are shared by the Caribbean Sea to the north and north-west, Venezuela and Brazil to the east, Ecuador and Peru to the south, and to the west by Panama and the Pacific Ocean. 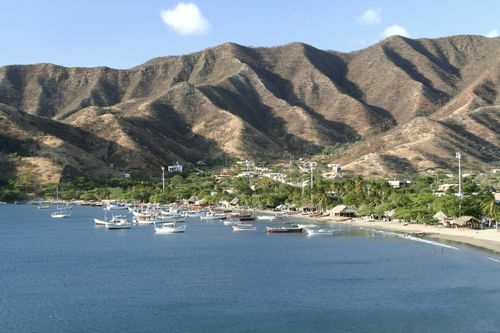 Colombia also enjoys the distinction of being the sole Latin American country that is drenched by the saline waters of both oceans, pacific and Atlantic. 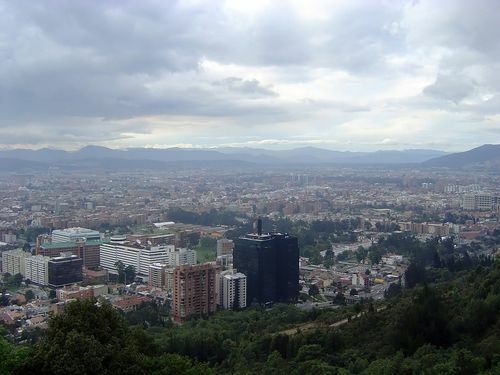 Bogota is the capital city. 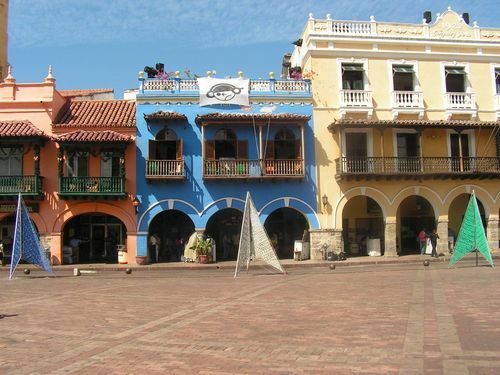 Other major cities are Barranquilla, Cali, Cartagena and Medellin. The political jurisdiction of Colombia is also spread over several small islands that include the archipelago of San Andrés and Providencia in the Caribbean Sea, the Islas del Rosario and San Bernardo along the Caribeean coast, and Gorgona and Malpelo in the Pacific Ocean. Colombia is a country of geographical contrasts and extremes with its varied topography displaying amazing natural surroundings. Stretched over an area of approximately 1,140,000 sq. km, the country terrain is dotted with the three Andean ranges rolling north to south through the western half of the country and the vast lowlands in the east. These are complemented by the central highlands, flat coastal plains and the Amazon-drained rainforests by the Brazilian borders. The eastern savanna region of Colombia is known as "Los Llanos" that is drained by the Orinco River. Other major rivers of Colombia are the Caqueta, the Cauca, the Guaviare, the Magdalena and the Putumayo. The highest Colombian points are Pico Cristobal Colon and Pico Simon with same elevation of 5,775 m across the ranges of Sierra Nevada de Santa Marta. The eastern side of the Andean ranges are the most urbanised and populated part of the country. 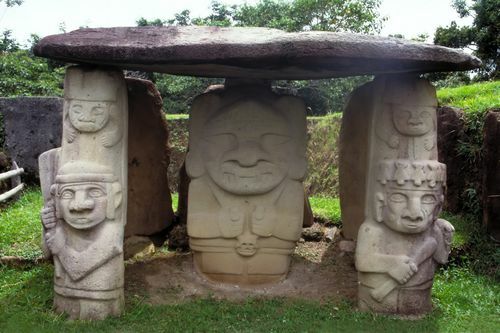 Colombia during its pre-Columbian days was inhabited by the highly advanced Chibcha tribes but little is known in details about the life and times of theses peoples. A clear time line appears from 1510 when the Spaniards founded Santa Maria la Antigua del Darien in present-day Colombian lands. In the succeeding decades of the sixteenth century, Santa Fe de Bogota and the colony of New Granada was established. Gradually, Colombia went under the Spanish Vice Royalty of Peru and the rule lasted for almost three hundred years until liberation movement by Simon de Bolivar. The country attained its formal independence on August 7, 1819, and after this, the Republic of Gran Colombia was formed by unification of Colombia, Ecuador, Panama and Venezuela. The confederation was dissolved in 1830 and Colombia and Panama became the state of Nueva Granada. Clombia emerged as a separate independent identity following spurts of civil war with Panama between 1899 and 1903. Civil wars and political unrest persisted throughout the twentieth century but by the end of it, Colombian authorities became equipped enough to fight the guerrilla organisations and the dreaded drug lords. The economy of Colombia is basically agriculture based with coffee exports dominating the sector. The industrial sector accounts for 32% of the GDP and employs most of the labour force. However, the financial condition of Colombia is marred by the internal conflict, which further worsened during the recessions of 1999. It has recovered after stringent government policies and external help from international organisations. The political front of Colombia is stabilised by a 1991 constitution and President-led executive who is elected for four years. The bicameral legislature consists of a 102-seat senate and a 166-member strong house of representatives. Members of both the houses are elected through popular vote for four years. The judiciary of Colombia comprises of the Supreme Court of Justice, Council of State, Constitutional Court and Superior Judicial Council. Colombia is also a member of the South American Community of Nations.